News 15.09.12: Oliver made it into the final round at the ProBASE race at Stechelberg, Switzerland. 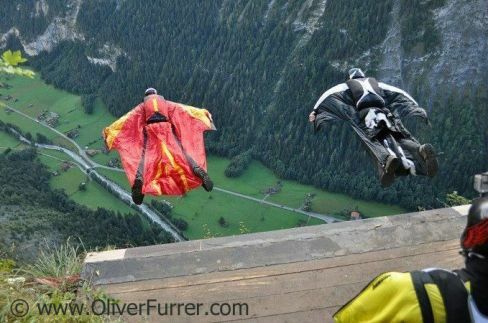 Out of 37 wingsuit participators he ranked 8 and was very happy to be one of the fasted flyer. During these 3 days competition many spectators visited the landing area and witnessed a great show. So thanks to all sponsors, the organization and the local people that this event happen!